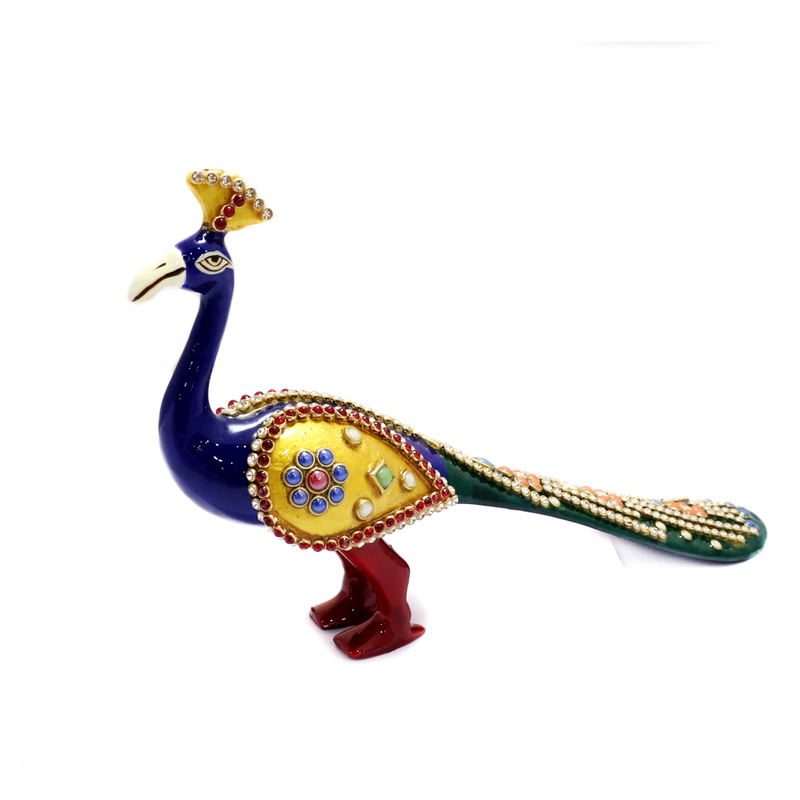 Showcasing a standing posture, this metal built peacock bird is entirely adorned with the colourful meena and stone designs. 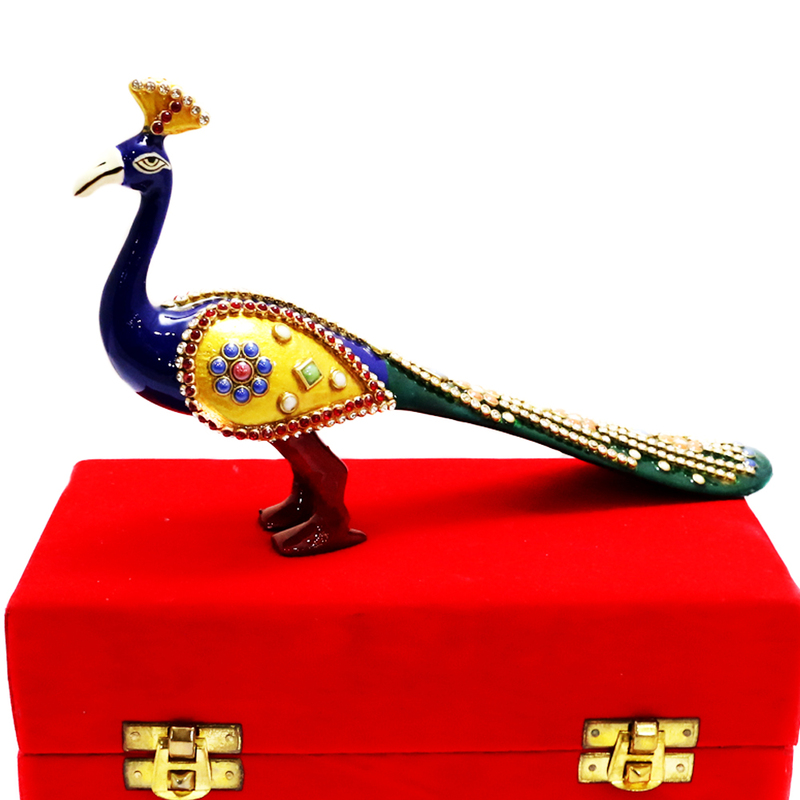 The feathers of this bird sways Read More..down giving the piece of art a clean feel to it. It could also make a nice present for several occasions. Show Less..